Mountain gorilla trekking;what you need to know for your advance preparation to track mountain gorillas in Uganda,Rwanda or D.R.Congo. What happens on Mountain gorilla trekking day, are you wondering what to expect when going for the greatest wildlife trails-mountain gorilla encounters in African forests? Safaris to Africa, here we uncovering all the myths about Mountain gorilla trekking experiences, what to expect when going for the greatest wildlife trails-mountain gorilla encounters in African forests, what this day with your rangers to mountain gorilla tracking is meant for your advance preparation as a traveler? Coming eye to eye with an adult male silverback of 6 feet tall when standing upright that can weigh 400 to 500 pounds is truely rewarding experience. One singer put it up years ago that "anew day has come"....! Your mountain gorilla trekking day finally is here,after saving the moneys and of-course booking your tour with aright travel company. Here comes your special great primate walk day,only you will find yourself inside their home, no doors, no windows, no bars and no gate you're part of the free and wild roaming experience. When i talk of free and wild roaming experience what do i means here?After you pay 600$ for Uganda experience, 1,500$ for Rwanda experience and 400$ for Congolese experience with mountain gorillas.You reserve the right to be welcomed into the rare mountain gorillas small home,yes this is quite smaller compared to the global land mass and what they deserved. You're welcomed with no limits and the silverback will be happy to tolerate your presence for only one hour. On this special day we advise you to stay an overnight before the commencement of your trek closer to the destination of the activity. This can be closer the forest boundary or in a location not more than one hour driving in the morning of your trek, take a heart there is well serviced network of lodges,camps and villas in every location.The choice remain yours! The trek starts in the morning and for your comfort, a good sleep, nice hot shower and delicious meal is ideal for your days inside the tropical rain forests. Yes on a beautiful morning after a hearty breakfast,you will leave your lodge early at sunrise for the pre-booked great encounter.Sure,all the mountain gorilla trekking permits must be booked in advance,in a period not shorter than 3 months. The trekking goal is to enter the forest and have a first glimpse of the forest you're to spend the whole day with mountain gorillas.While here you're welcomed by rangers and guides who will take you through group general briefing. This is held at the briefing Banda at the visitor reception center which are located at the forest boundary as determined by the Conservation Authorities .This is usually a safety briefing with all information about conservation history, forest biodiversity status,responsible Eco-tourism and the dos and the don'ts while you're on the safari touch of your memorable greatest wildlife trail. After this you will be partitioned into groups of 8 pax maximum and with your porters, escorts and the lead guide you enter the forest under growth. You will be amazed by the walking on the blanketed forest spongy like floor but the ups and downs won't be forgotten. This is where the value of a porter gains sense mostly when he is offering that necessarily pull or push to navigate the forest interior following the Mountain gorilla trail.He will be carrying your rucksack as well for the refreshments of this hike,packed meal and other essentials like rain jacket,sunscreen,insect repellent etc. Next you have crossed gates and now you are fully in the mist for mountain gorilla trekking, In Uganda Bwindi Impenetrable Forest and Mgahinga gorilla national park s are two natural homes. If trekking in Rwanda your destination for this day is Volcanoes national park, while in D.R.C you trek inside the Africa’s oldest forest Virunga. Bwindi is the only forest in Africa which can make this claim. 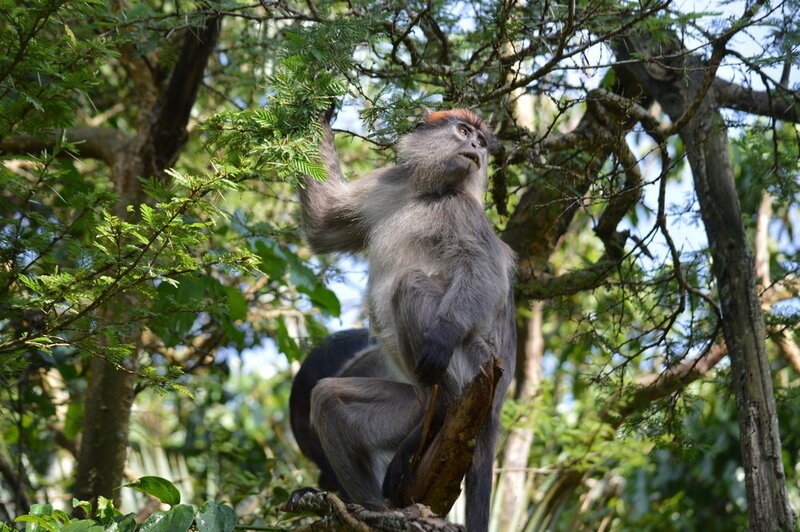 It also hosts other species of primate, species of mammal, over 200 butterflies and 360 birds which are all your tour highlights for the day. The gorillas you track belong to one of habituated family groups who were habituated to tolerate the presence of humans for a brief period every day. The time taken to track the gorillas can be as few as 2 hours to as many as 7 hours of trekking. Your trekking permit fees keeps them under close monitoring for any threats and your participation into this as a person when you visit them, track or trek them defines more about their conservation, monitoring and health standards. Beautiful birds can be encountered on such a day of your gorilla trek. Once the gorillas have been located, your group will be allowed a maximum of one hour with them. Coming face-to-face with a mountain gorilla is a truly humbling and emotional experience. This is a fantastic and privileged opportunity to get up close and personal with Africa's i.e Uganda’s, Rwanda’s or Congo’s very own ‘Gorillas in the Mist’. After 40 minutes to 1 hour of gorilla encounter, you will guided to exit the forest and meet your driver guide for the journey back to the lodge. Tracking to the mountain gorillas commences at 08:30 AM local time in full accompany of rangers and support staff (tour porters ),so be careful while timing the transfers from your lodge. 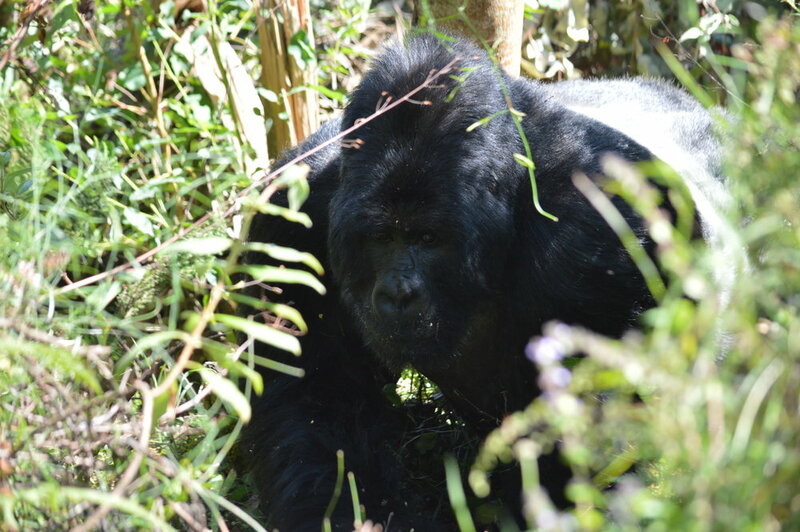 Other than the common trekking today,in Uganda and at Bwindi you have an option of four full hours to be in the forest for your Gorilla habituation experience with only your rangers, guides and porters. Don't forget o identify this reptile on your way to the mountain gorilla trek. The whole of today is reserved for you to track the rare mountain gorillas in their natural habitat inside designated National Parks. This whole day activity is for you to take photographs,learn, observe, interact and get in the misty mountains with your Wildlife interpretative guide, so afterwards you will return to your lodge or continue to the next destination as per the itinerary but not expecting to drive longer hours as you will be back from the forest in the evening. While at your lodge, Instead you will have a shower and relax at your lodge balcony where memories of unforgettable Silver and golden virunga views are at a galnce.Imagine just sitting at 2,700 m altitude and gaze at the local communities settlement patters around. 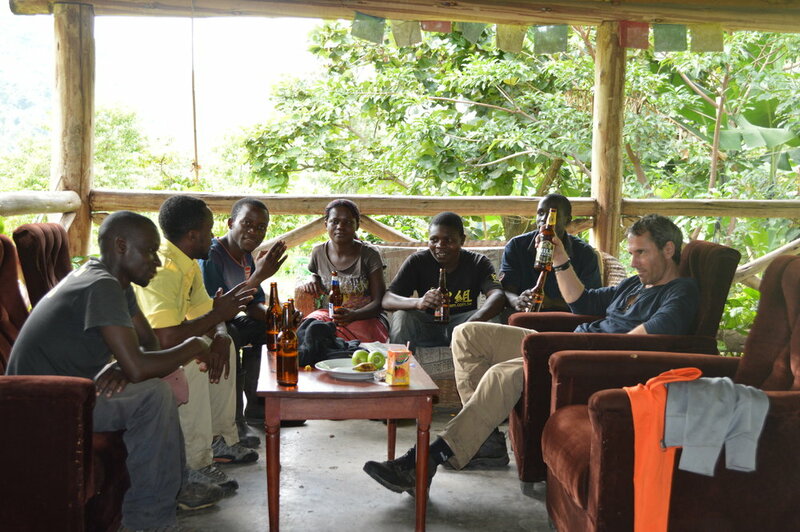 After the forest hike, stopping at the roadside pub,sitting and having one-one i mean tasting Ugandan brewed Nile special beer with your guides,rangers and porters is may be what you need. 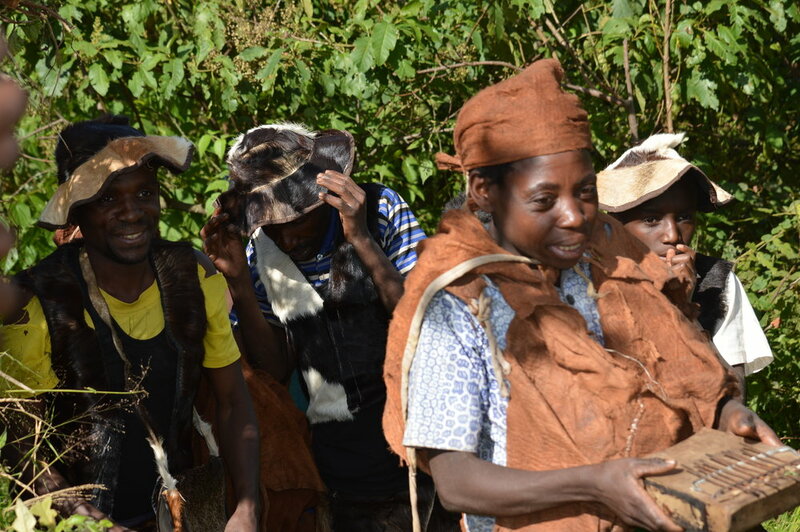 You can decide to have a group of traditional entertainers at your lodge from our locals, they are pygmies families who were forest dwellers before being evicted from the forest in 1990 by the conservation authorities still have hanging villages at the forest boundary and you will get time to interact; they have a rich cultural history and are always entertaining. Are you interested in more details about our responsible Eco-tourism mission? You can read our eco-projects for this job we do better as a community oriented safari operator. Just for your Getaway to the untamed Bwindi safari style, we have reserved 3 days for you to feel the natural and traditional safari touch on this rain forested Bio-Sphere for your weekend luxury vacation on safari bookings. Did you find this article making sense? feel free to subscribe to our journal to keep posted. We wait for you to taste our experience in what we do not as a job but to put our passion for wildlife, people and their cultures to work. Don't fail to contact us, Karibu!